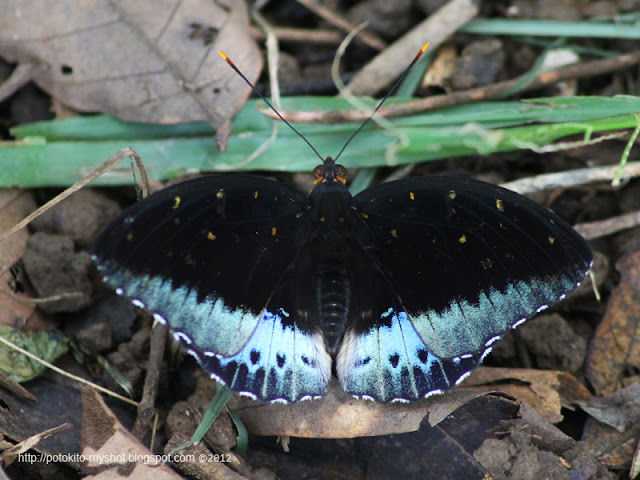 Photo above shows the appearance of male Lexias pardalis. 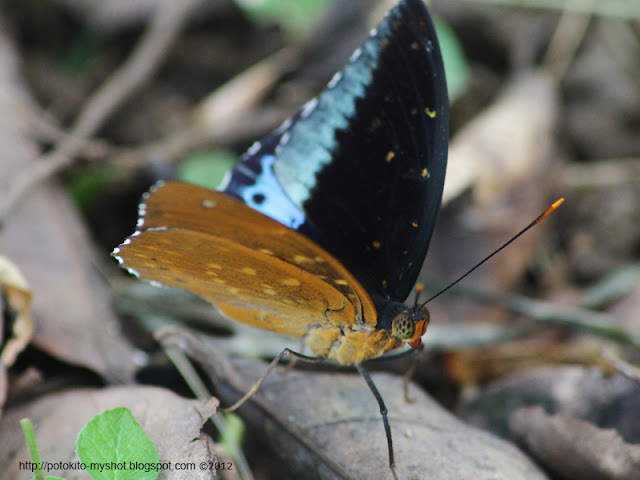 It has black color of both wings with bright blue color across the margin. The abdomen has black color. The antennae is black and has orange color at the top.The male size is smaller then female. 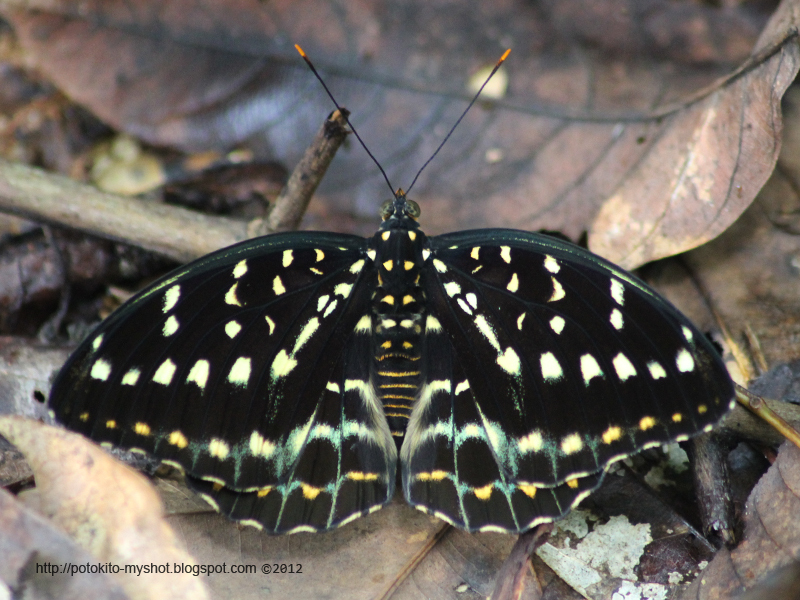 Photo above shows the female of Lexias pardalis. With black back ground color or upper side both fore wing and hind wing, it is ornamented with the whitish yellow spots marked in rows. The abdomen has some yellow bands. The antennae is black and has orange color at the top. Using the images from this blog must be under the licence from the author. Mohon untuk tidak menggunakan gambar pada blog ini tanpa seizin pemilik. Nurul Iman Supardi. Simple theme. Powered by Blogger.